High-flying rides and deep-fried pies—the N.C. State Fair is back in Raleigh, N.C.! 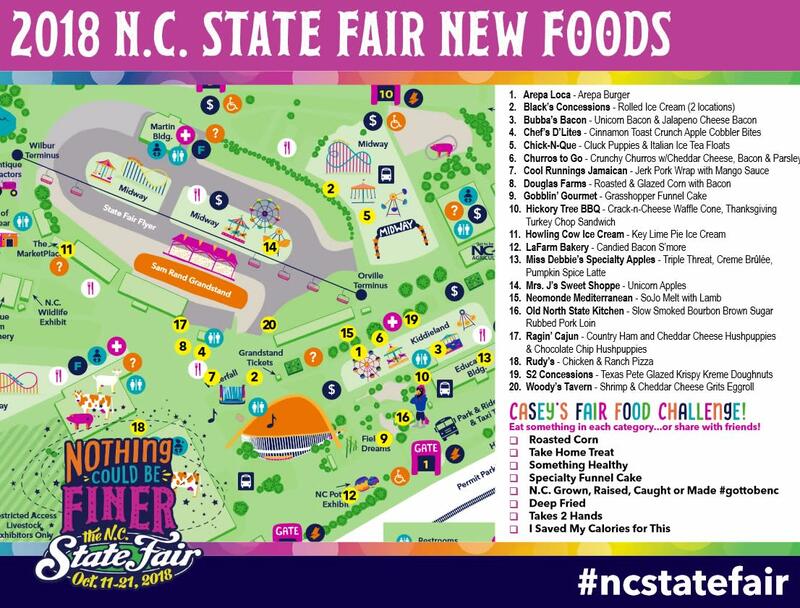 The 151st annual N.C. State Fair, in town Oct. 12-21, adds 25+ new foods to the deep-fried fun for 2018. Hot foods, frozen foods, messy foods, foods we had no idea could actually go together—you&apos;ll find them all! We&apos;ve listed more than 10 of our favorite and super-delicious, new options below to help get your fair food game plan started, and don&apos;t miss out on our picks for the ultimate 25 things to do at the N.C. State Fair this year. The classic grasshopper dessert has been turned into a funnel cake! Chocolate brownie funnel cake is topped with dark chocolate fudge, mint drizzle, whipped cream and Oreo cookie pieces—all put together by the talented folks at Gobblin&apos; Gourmet. Talk about a flavor explosion! 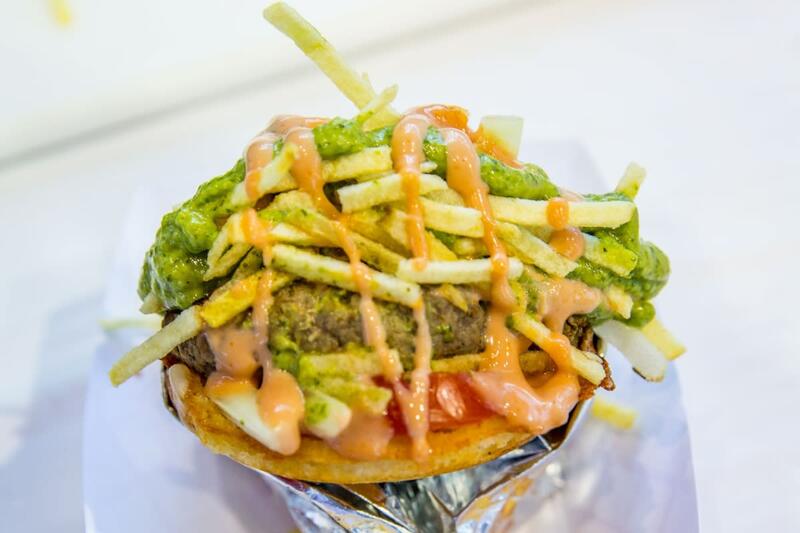 The Arepa Burger from Arepa Loca is not to miss this year at the Fair. A traditional arepa is stuffed with a homemade burger and topped with tomato, onion, potato sticks and cilantro guacamole. It&apos;s a gooey, crunchy, tasty twist on the classic arepa! North Carolina State University&apos;s Howling Cow Ice Cream (made on campus with milk and cream from a university-run farm!) is serving up their newest flavor at the Fair: Key Lime Pie ice cream! 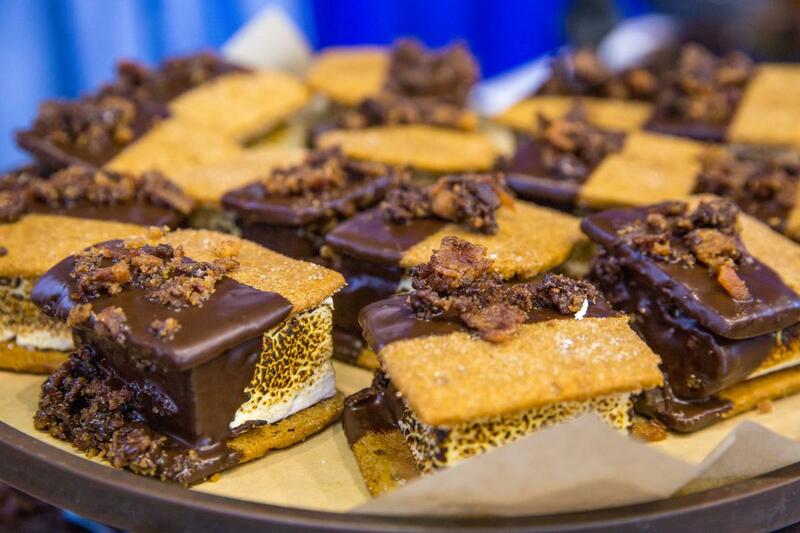 Sweet, salty and surprising—the Candied Bacon S’more, the creation of Cary-based Master Baker Lionel Vatinet and La Farm Bakery, may just be the ultimate indulgence at the 2018 N.C. State Fair! 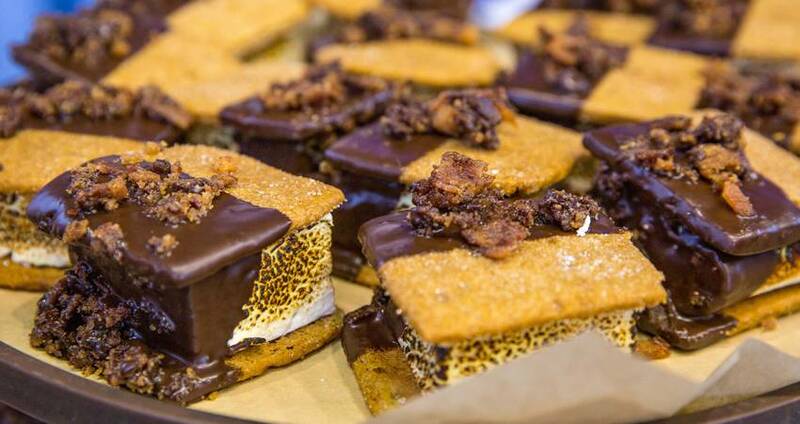 House-made marshmallow is filled with ganache and dipped in chocolate, all resting between a Carolina-ground whole wheat graham cracker and topped with candied applewood smoked bacon. 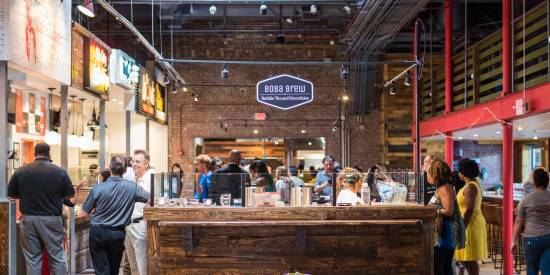 We’re sure the crowds will line up for savory churros from Churros To Go. Each order of cheese churros is topped with bacon and parsley for a satisfying snack. You’ve heard of hushpuppies, but have you heard of...cluck puppies? Chick-N-Que, a popular local food truck known for Eastern-style barbecue, is serving up a twist on the traditional Southern side. 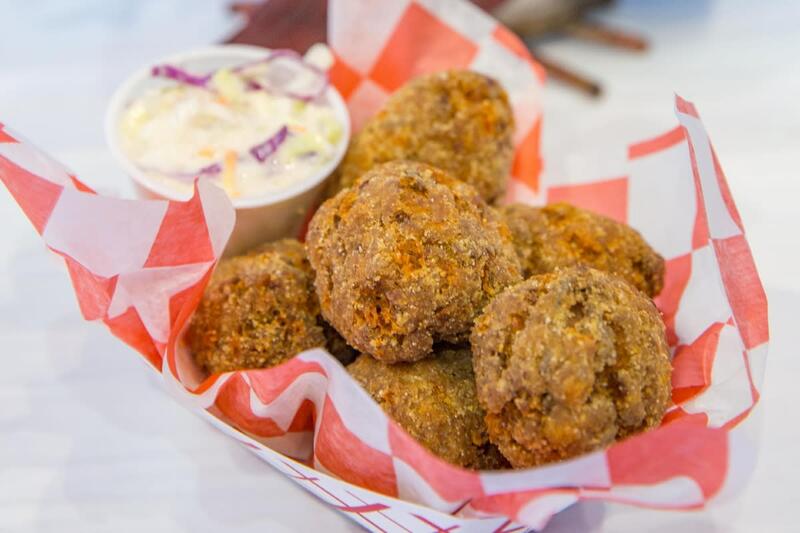 Chopped chicken &apos;cue and cheddar cheese hushpuppy mix is deep fried to perfection (and pairs perfectly with a side of their Southern coleslaw!). Woody&apos;s Sports Tavern & Grill is bringing us a fun food this Fair! N.C. farm-raised shrimp, stone-ground cheese grits and tasso ham are all rolled into an eggroll. It’s lightly deep fried until crispy and topped with an incredible red pepper remoulade sauce (pro tip: ask nicely for extra sauce!). The Jerk Pork Wrap from Cool Runnings Jamaican took home the top prize as the media’s choice for Best New N.C. State Fair Food on preview day, so take it from the experts—this is one tasty treat to save room for! 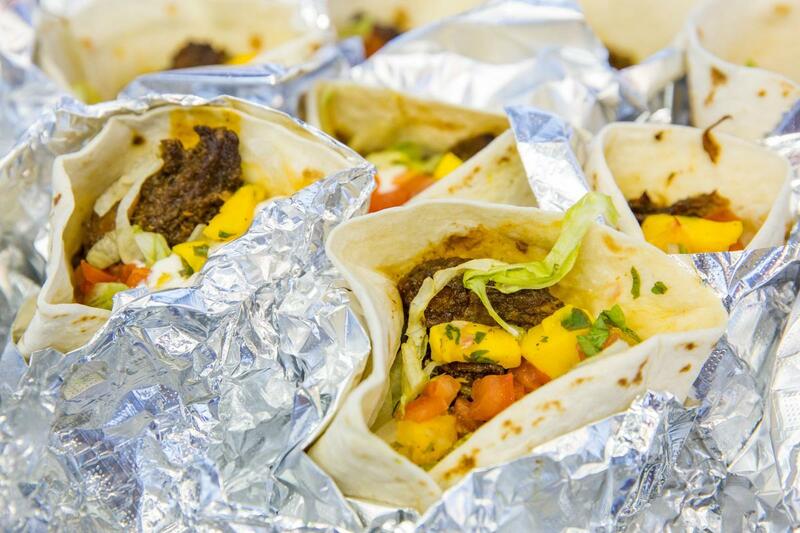 Jerk pork is served in a flour tortilla with lettuce, tomato and a delicious mango sauce. It definitely brings the heat and has a nice level of spice. Miss Debbie’s Specialty Apples, a family-run business for more than 35 years, brought the Triple Threat Apple to the table this year. A Granny Smith apple dipped in fresh caramel and rolled in M&M&apos;s, then dipped in white chocolate, rolled in crushed Reese&apos;s Peanut Butter Cups, drizzled with dark chocolate and finally topped with a glob of white chocolate and other goodies. We won’t blame you if you need a fork and knife to tackle this treat! 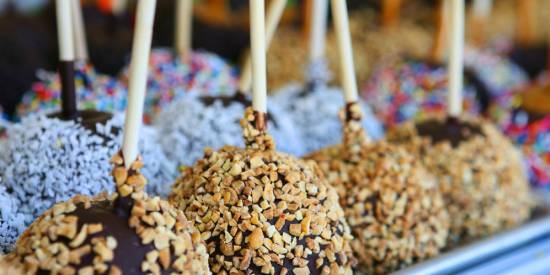 Chef’s D’Lites is bringing the Fair something delicious and oh so sweet! 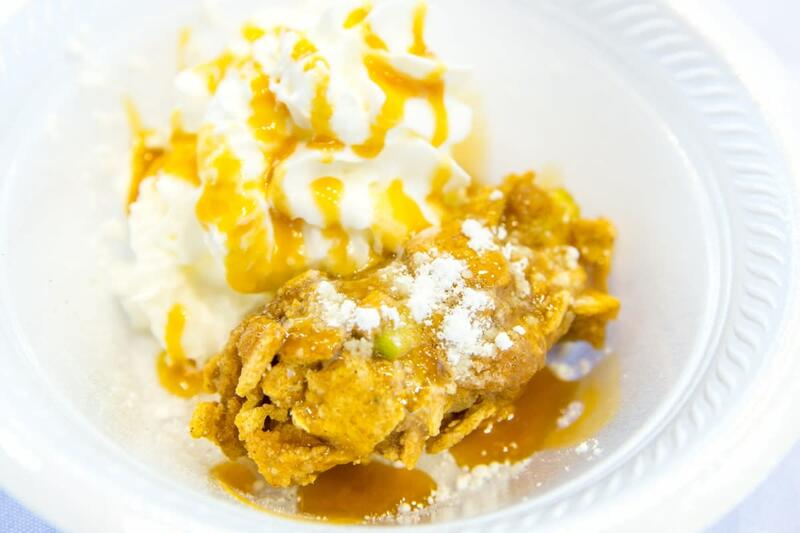 The newest dessert at the N.C. State Fair, Cinnamon Toast Crunch Apple Pie Bites, is your favorite childhood treat coated around Granny Smith apple slices, deep fried and topped with cinnamon sugar and a caramel drizzle. Thanksgiving came early this year at Hickory Tree Turkey BBQ! Their hand-cut turkey chop is deep fried and smothered in gravy on a buttery bun and topped with Thanksgiving stuffing and cranberry sauce. 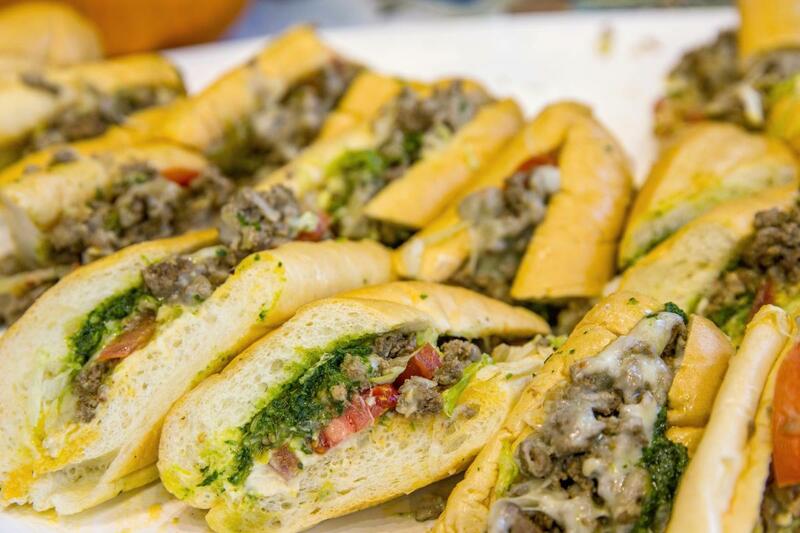 Neomonde Mediterranean’s new SoJo Melt is sauteed, all-natural ground lamb with onions, soujouk spices, hummus, Lebanese pickles, melted cheese, tomatoes and a new jalapeño and cilantro green hot sauce, all served on an Italian hoagie (perfect if you want to get away from the sweet treats!). It’s not the N.C. State Fair without weird food combinations, and what&apos;s wackier than hot sauce-glazed doughnuts? Get these Texas Pete-glazed Krispy Kreme mini doughnuts (both N.C. born and bred favorites!) at S2 Concessions. And that&apos;s not all! 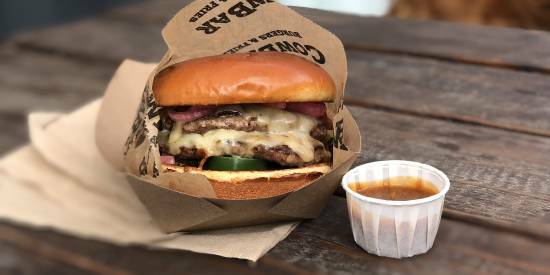 Check out the map below (or download and print the PDF here), and see the fully-revealed list of new goodies and over-the-top concoctions at the Fair&apos;s website.